Through experimentation with the techniques of painting, and the material of artists’ paint itself, Brendan Lyons uses the traditions and references of Western painting as a base from which to investigate various issues of interest. Brendan Lyons’ paintings are made of artists’ paint alone. The entire surface, structure, and support consist of paint. A cross-section cut between any two points of any one painting, would reveal only paint. The paintings are then fixed to the wall using further artists’ paint as an adhesive. This leaves just one element (paint) attached to the wall. The paintings are often placed directly into the urban environment, and they sit convincingly within a dual context of the contemporary built environment and the formal boundaries of Painting. What may appear to be bricks, polythene sheets, various types of tape, builder’s orange safety netting, sheets of corrugated metal or cardboard, and other discarded packaging – are in fact just unsupported paint alone. 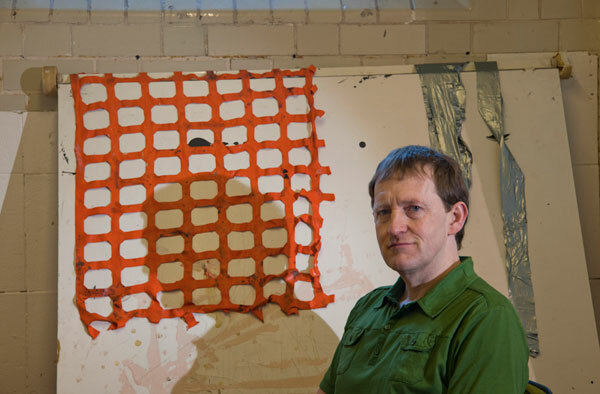 Brendan Lyons currently lives and works in Liverpool, England.